The Truckee-Tahoe region is home to many awesome neighborhoods and several world-class gated communities. Each of these communities offers a variety of benefits and services to new homeowners. As a realtor in Tahoe, I’ve seen many families and individuals struggle to narrow down their choices when looking for a Tahoe mountain home with good values. I am here to assist clients in getting the value they deserve when purchasing a new mountain home in the Tahoe region. In order to help my clients do so, this article focuses on four of the best values in mountain homes currently available in the Tahoe Truckee area. Tahoe Donner homeowners enjoy a bevy of year-round recreational amenities, including access to the Beach Club marina on Donner Lake, community equestrian center, golf course and driving range, swimming pools and tennis center, and much more. Don’t pass on the chance to tour this spectacular Tahoe mountain home today! At first glance, it’s hard to believe that this magnificent 4-bedroom, 3-bath, 2,800+ square foot home was built back in 1979. It boasts a spacious two-car garage, large back deck with plenty of space for a hot tub, and an extra multipurpose room to use as you please. 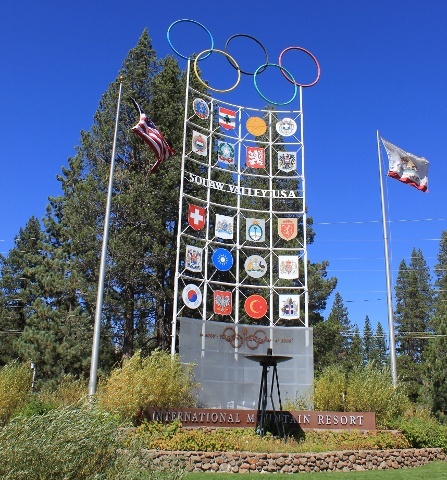 Proud home to the 1960 Winter Olympics, Olympic Valley, CA provides access to some of the region’s best year-round recreation and is home to the world-class Squaw Valley Ski Resort. With views of the spectacular mountain terrain that shadows the valley, this home at 204 Tiger Tail Road is one of the best values on Tahoe ski resort homes available! Find The Best Value on a Tahoe Mountain Home! As winter melts away and spring continues to bloom, it’s a great time to begin searching for your new Tahoe mountain home. Please don’t hesitate to contact me to schedule a showing today!